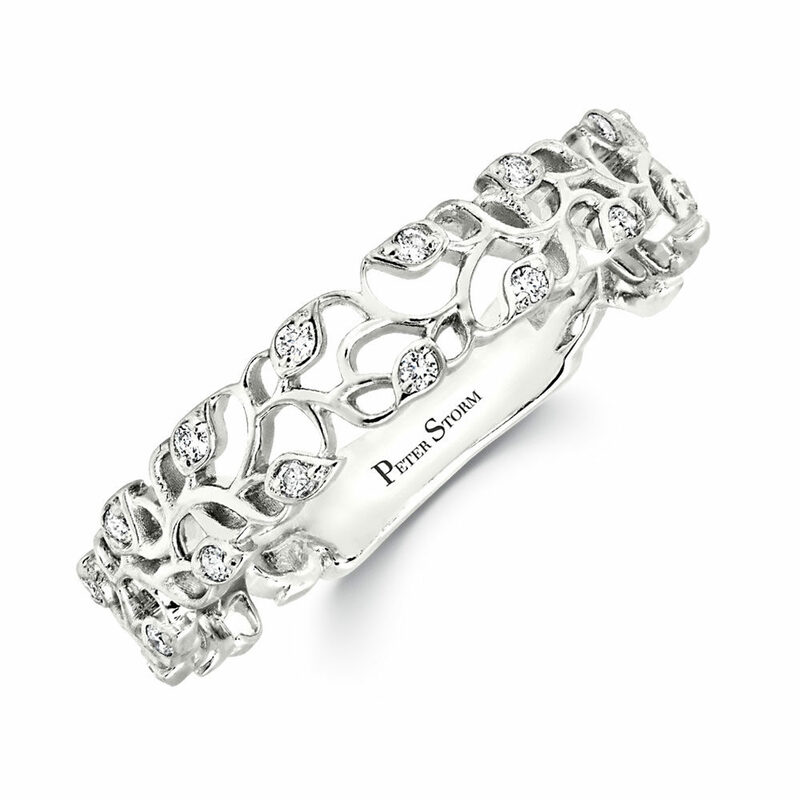 Twisting leaf band with round diamonds. Perfect for a next to your engageming ring or as a right hand ring. Can be made in white, rose, and yellow.